Worried about your shaving skills? Looking for the safest way to shave? Safety razors are designed for exactly that – safety! Shaving with a safety razor does not have to turn into a blood bath. I am writing to take the mythical scares out of using the safety razors with the best safety razors for women, that’s right – safety razors designed specifically for the ladies! We will look at the best safety razors for women available in the market today! With this you will get tips for choosing the best one and a guideline of how to get the best shave without the horror of cuts, nicks & blood. Safety razors are an amazing way to Go Green! The best way to save the planet today is to minimize plastic waste which accounts for most of the harm in the ocean and its wildlife. Most, if not all, disposable razors are built of plastic material which we throw after one or a few uses. For traditional razors, we throw away the razor head which has a significant plastic portion. Safety razors are completely free of plastic materials! The only replaceable part is the blade, eliminating all associated plastic wastes. Not just that, the goal of using a safety razor is to get the cleanest & closest shave without harming your skin. The simple technique to master is to run along a smooth shaving surface with the blade in the best position to get rid of all the hair and none of the skin! Okay… so let’s get right to it. A step-by-step guideline of how women should shave with the safety razor without cut and nick? Established in 1988, Edwin Jagger emphasizes traditional English quality and style by the manufacturing techniques and heritage of long established Sheffield craftsman skills. 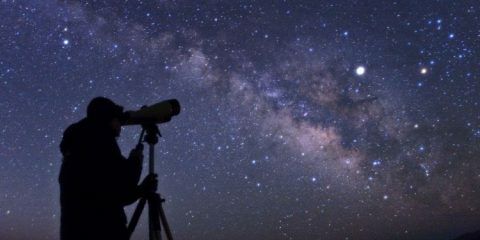 In over two decades, it has become one of the global leaders. The unique design of the Heather (of the Edwin Jagger Double Edge Safety Razor range) is the perfect choice for ladies. It offers a very close, clean & comfortable shave. The weight is perfect for easy handling and is suitable for both new and experienced users. Edwin Jagger razors are produced in Sheffield, England and the collar is branded with Edwin Jagger embossing for authenticity. The two-part DE razor head is compatible with all standard Double Edge Safety Razor Blades and comes ready with 5 FREE blades. It is delivered in a trademark Edwin Jagger packaging, along with instructions, advice and product registration information for customer support. This perfect ladies choice is not just beautifully designed, it is of exceptional performance. It has an attractive, extra-long, pearlescent coated handle for extended reach. The classic closed comb head is expertly engineered and the handle is capped with chrome plated end-detail. It also comes in other colors and design options such as the Ebony, Ivory, Chrome & Chrome lined. Heather by Edwin Jagger is the perfect ladies’ double edge safety razor. It is specifically engineered by Edwin Jagger for ladies to get the closest, cleanest & safest shave. The razor is beautifully balanced and the design is attractive to say the least. 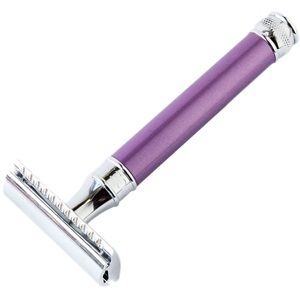 The colorful, extra-long handle of the razor the embossed Edwin Jagger signature is top notch. It comes in a packaging which is an excellent presentation box. The inclusion of the pack of 5 blades for free is a fine touch. You can register your razor with its product registration card details to benefit from complete product support by the manufacturer. You can also teach yourself to shave using the instructions and advice provided, to become an expert at shaving using safety razors. Truly, a gadget that has impressed! 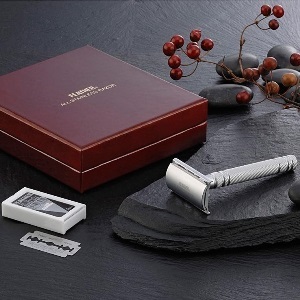 Edwin Jagger is a leading, English company that manufactures all sorts of shaving accessories. Although primarily for men, they could introduce more products like Heather which are specifically targeted towards women considering their specific shaving needs. Feather is an All Stainless Double Edge Razor made in Japan. Feather claims to have created the most innovative razor in the world matching the high engineering standards of Japan. Regardless, the performance of this razor is truly among the best in the global market. The Feather All Stainless Double Edge Razor is the perfect combination of quality, luxury & traditional style. Using this razor will take you back to the times when it was the norm to shave using single blade safety razors. Every stroke is masterfully able to shave away hair while leaving the skin clean, smooth and soft. It has a mild blade design which minimizes the risk of serious cuts & nicks during a shave. The implementation of modern technology in its production gives it a greater level of control and offers the safest close shave in the market. They provide a much closer shave than the multi-blade cartridge razors filled in the market today. The Feather All Stainless Double Edge Razor comes with 5 Feather Hi-Stainless Double Edge Blades which are far cheaper than cartridge replacements. The Feather All Stainless Double Edge Razor is very forgiving during a shave. It is as harmless as normal, multi-blade, lubricated cartridges to your skin, but far superior in shaving off your hair. It easily glides over your skin without any lubricants, when it’s just slightly wet. So, is aggressive enough to cut through hairs and mild enough to leave your skin unharmed. The razor is very sturdily built while it is easy to hold or grip. When putting in the blade and tightening it down, the lock is perfectly even on both sides. The design is similar to the work of metal art. Unwrapping it from the sparkly red packaging, wrapped in origami paper, it feels like a gift to treasure. The razor is made for durability, so with care it will last forever and even if abused, it can last a lifetime. One of the advantages of the Feather All Stainless Double Edge Razor may just be its biggest weakness. The mild nature of its cutting ability may prove to be too mild in some cases. The extra safety for your skin takes away the ability to get the closest shave. Parker Safety Razors have been in business for over 40 years and continue to produce genuine, premium razors. They follow a strong heritage of delivering exemplary products which reflect their commitment to customers’ satisfaction with every product. They operate with the belief that “Nothing Shaves like a Parker” and this is the reason for its popularity. The Parker 29L Pink is specifically designed for women and their individual needs for a quality shaving experience. The handle is textured for a tight hold even with wet or slippery hands. The solid brass frame is made for years of rust free & hassle free shaving. The advanced plating process gives it the attractive durable finish for the highest quality product for you. Every Parker razor is assembled by hand with quality ensured in every detail. Parker Safety Razor has engineered the world’s finest shaving gear for men and this is their special design for the ladies. As leaders in the innovative design of safety razors, they ensure the highest standards for each product. The razor features a chrome plated brass frame for endurance and the long handle makes it easy to maneuver. The Butterfly-open design is ideal for replacing blades with ease and the textured handle offers a tight grip. It comes with 5 Shark Super Chrome double edge blades for that perfect and comfortable shave every time. 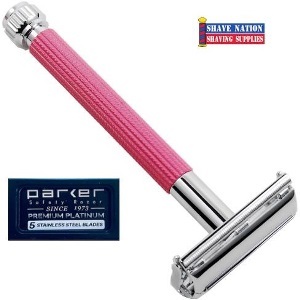 The Parker 29L Pink is the best Women’s Butterfly Safety Razor by Parker. The solid brass frame is excellently complemented by the smooth shaving head design. It is a razor which tilts towards the heavier razors, but it’s easier while shaving through tough or thick hair. All the while, it leaves your skin feeling smooth and cleanly shaven. The butterfly design is beautiful and practical for simple and effortless blade replacements. A simple twist knob opens the butterfly to change its blades. The razor head is attractive and highlights the glossy, pink finish of the handle. The handle is also long and the grip is useful for use in the shower. While the look of the razor is impressive, its performance is not up to standards of other manufacturers in its league. So, it needs to provide sharper shaving capabilities and improve its butterfly design to work more efficiently to compete with other safety razors available in the market. The Elkaline Razors Shaving Kit for either men or women is a product of China. It is a reusable, double edge, one blade safety razor with a stand, and a travel case. There are 5 replacement blades included in the kit. The Butterfly design allows you to easily replace blades. The kit is a complete package which is a great gift item by Elkaline. Although not specifically targeted towards women, it is perfect to get those legs silky smooth with a close shave using the Elkaline razor. Elkaline states that many of their customers are women and prefer their products for shaving with no razor burns or ingrown hairs. They claim that the razors are sensitive enough to keep your skin feeling fresh, without any irritation or other harms. The kit is backed with a lifetime warranty. The razor is built to last and for those looking for an affordable product with security; it is backed by the warranty. 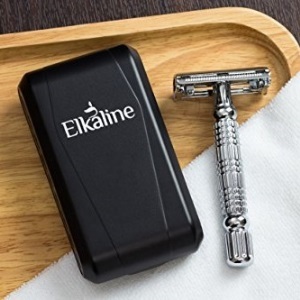 Elkaline has a great design which imitates the styles of other elite manufacturers for offering an innovative and modern shaving experience. The metal alloy build of the body with the butterfly design for its razor head is very attractive. It does not need to be fully disassembled for replacing blades. The unit is very easy to clean and use. In comparison to the higher reputation manufacturers, this razor has the look and feel of its higher-end, more expensive competitors. 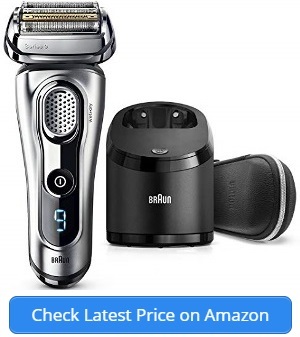 The fact that it is a complete kit, which includes a razor stand, a travel case and replacement blades, makes it a more appealing gift option for yourself or others. The case is nicely cushioned with a lid that that snaps close and open both easily and firmly. The case even has dedicated space for storing the extra replacement blades. Also, there is a tiny mirror in the case for emergencies. Now, the Chinese brand Elkaline is not in fair competition with elite razor manufacturers. Although it has captured the style and essence of the big name razors, it is unable to match their quality. It is good, economic option but not one that is highly recommended. The unbalanced design is prone to injuries such as cuts or razor burns. So, beginners need to be extra careful using this product. 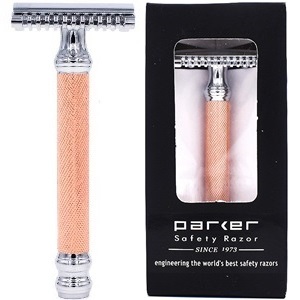 Parker 63C is a genuine Parker Safety Razor product. Parker has been in business for over four decades and continues to product excellent quality products. This is the second Parker product on our list. This particular one, the Parker 63C is a rose gold colored, 3-piece safety razor with open comb head. The open comb head design is for smooth shaving and it comes with 5 Shark Super Chrome replacement blades. So, it provides an extremely close shave without any risks of injuries. There is a particular advantage of the design of three-piece razors. They are very easy to disassemble into three separate pieces which allows easy and precise blade alignment. The quality on offer by this three-piece razor is exceptional and is backed by Parker Safety Razor’s quality, heritage and design from the early 1900s. The traditional design of the comb head has been fused with modern materials and technology to set itself apart from its competitors in the market today. It comes in a solid brass frame for extra durability and is available in two attractive colored designs the Rose Gold Metal & the Chrome plated Brass. The handle is fairly long with textured design for extra grip. Parker Safety Razor’s “Open Comb” design is truly attractive and practical. The shaving community backs the ability of the comb head design to provide a close and smooth shave without much aggression at all. The beautiful rose gold metal plating is an attractive look which is classy. The look and feel of the long textured handle is great and offers good grip even when handled with wet hands. The decent weight of 3.4 ounces allows you to easily maneuver across all surfaces. The quality of the product is unquestionable as Parker products are assembled by hand. This is good safety razor for both beginners and experts. The open comb design is safe to be used for first timers and stretches the skin to get a nice close shave without cuts. The inclusion of the high quality razor blades will give you expert results on your own. The Parker Three-Piece safety razor is a great option in the open comb design but for those who are not fans of this design may prefer a different style. Even if it means that they have to miss out on the beautiful Rose Gold Metal design. The obvious advantage of using a safety razor is that you have complete control over the aggressiveness with which you would like to shave. With the right angle and the right razor gap, you will get the best shave. In addition to the right angle of the blade and the razor gap, there are a few other things which must be considered to ensure you have chosen the right safety razor for yourself. So let’s look at some of the things to consider when choosing the best safety razor for you! 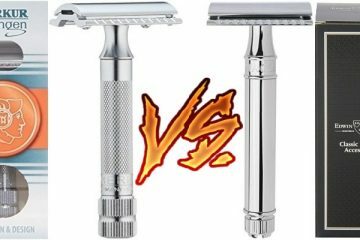 When browsing for a safety razor, you will have to choose between varying razor heads. There are two types of safety razor heads, an adjustable and another is a stable razor head. With adjustable razor heads, you can adjust the gap and then lock to your preference. But make sure that you keep the same gap on both sides or else you risk an unbalanced blade which will result in an unpleasant experience. So, if the razor head is not tightly locked, then do not shave with it until it is locked properly. One of the most crucial parts of the safety razor is its handle. This is what controls how you move around with it no matter which body part you are shaving. So, pick a safety razor with the ideal handle for your hands. Pick the one which fits & feels perfectly to your hands with the grip as well as while moving it around. You can also consider which material the handle is made up of and choose one that gives you the most comfortable grip. It is also important to consider the length of the handle. It varies from one manufacturer to another, while the same manufacturers carry handles in varying lengths. So consider whether you are most comfortable with a short or a long handle. It’s not that short is better because it fits perfectly inside your palms or that long is better giving you more places to change grips. It is about your comfort, whether you have small hands or big hands, whichever gives you the best grip and movement, pick that one! Now, when considering the material & size of the handle, the weight is also a deciding factor. With the right weight, you just glide through the surface of your skin for the perfect shave. 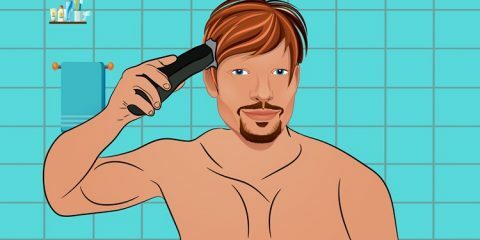 If the razor is too light, you will have to apply extra pressure and if it is too heavy then the slightest of imbalance in pressure may cause a cut or nick. And so, guess what? Yes… you have to decide the right weight for yourself! There is no ideal heavy or light weighing razor. Safety razors have this reputation for being unsafe which is ironic to say the least. The reason they are called safety razors is because of their best feature – safety! Change makes us nervous and since we have grown accustomed to normal disposable razors, we are nervous of making the change. But once you start using safety razors, you will start to appreciate it. So here are some tips that can be used as a quick 5-step guideline on the best way to shave using a safety razor to minimize risks of cuts & nicks. So, consider all things we have discussed and get a safety razor which is best suited for you and for your own needs. Don’t go for a safety razor which is ideal for men in shaving a beard but get one that is the best safety razor for women and their specific needs. Always use a fresh blade and never share blades with anyone! Replace the blade at the slightest hint of it getting dull. It’s actually safer to be cut by a new blade than a dull, older blade. A fresh, clean blade will give you a nice & clean shave every time. The angle of the razor while gliding through your skin is important. So maintain the perfect angle according to your grip. Experts suggest a nice 30 degree angle. Don’t feel the need to press up hard against your skin like traditional razors, just use the safety razor’s weight to glide. It’s easier to maintain proper posture, angle and grip for shorter strokes. When you take longer strokes, you tend to finish the stroke imbalanced. Go for smooth, short & balanced strokes. When you are shaving areas with soft or folding skin, make them nice and flat for smooth shaving surface. Use a lubricant to allow your razor to glide on your skin & avoid bumps & nicks. Give yourself the time to learn to shave using a safety razor and you will love yourself for it. Be patient and you will appreciate the rest of your shaving experience using safety razors! 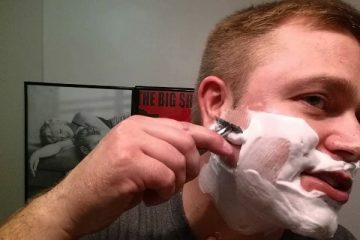 Shaving with a safety razor does not have to be a suicide mission! Well that maybe a bit of an overstatement but hopefully this review has successfully taken away all the mythical scares of using safety razors, especially for the ladies! All the great safety razor products by reputed manufacturers discussed in this review are specifically designed for women and they deliver the best in performance. So now you can easily choose the right safety razor for yourself and work on mastering the simple technique gliding along the smooth surface of your skin for a wonderful shaving experience to get rid of all the hair and have your skin feeling nice, smooth and clean!